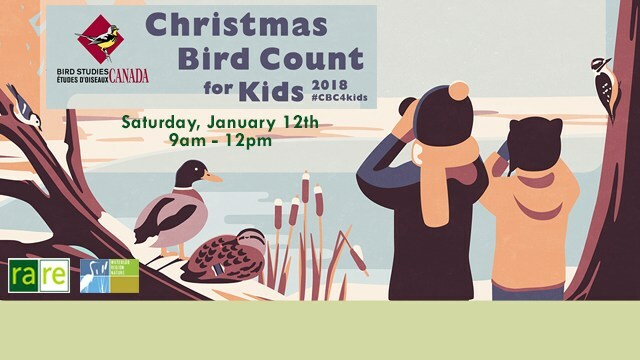 WRN Kids and WRN Teens had a special opportunity recently: rare Charitable Research Reserve hosted their third annual "Christmas Bird Count for Kids" on January 12 and we were all invited! 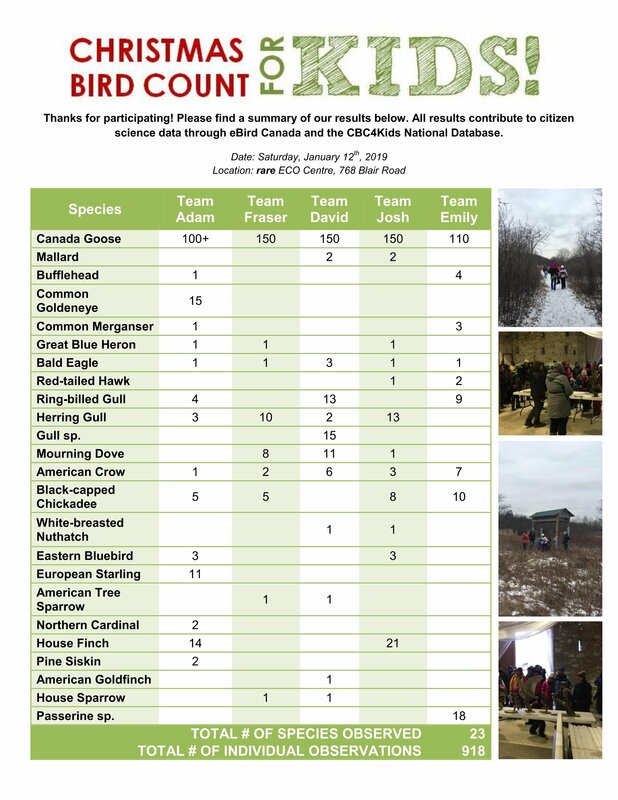 "Together, we identified 23 species and made over 900 individual observations, of (accounting for duplicate observations) approximately 275 birds. Canada Geese were the most abundant species we observed, and every group was able to spot a juvenile Bald Eagle perched in a tree. Two groups were lucky to see three Eastern Bluebirds, a rarity at this time of year." See the full results below. We're all pretty proud to be contributing to Citizen Science with our Bird Count! Can't wait to do it again next year!